One of the most important factors to consider when looking for cars in the Middletown and Mechanicstown area is safety, and the 2014 Honda Civic excels in this regard. In addition to taking a close look at standard and optional safety features, it’s important to look at safety ratings, too. 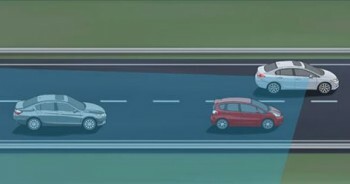 The 2014 Honda Civic has an impressive list of safety features along with impressive crash ratings, but the 2014 Toyota Corolla also has a good reputation. Here’s a look at which car may be the safer purchase. Due to government regulations, most vehicles these days have similar safety features. For instance, both the 2014 Civic and 2014 Corolla come standard with anti-lock brakes, stability control, front side airbags, and side curtain airbags to protect rear passengers. The Civic does give drivers a standard rearview camera, which is a paid extra on the Corolla. A rearview camera makes getting in and out of parking spaces much easier and helps to prevent collisions while backing up. 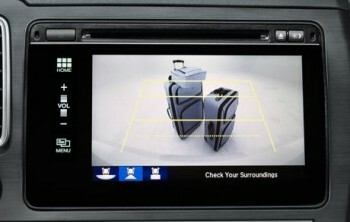 The Corolla doesn’t offer any other safety features besides a rearview camera, which comes standard with the Civic. The 2014 Honda Civic has a couple extra safety features to set the minds of Mechanicstown drivers at ease, including the LaneWatch system. It’s a right-side blind spot camera that’s activated when you turn on the right turn signal. The camera shows an image one the car’s display screen, giving you a commanding view of your blind spot. There’s also the HondaLink system, which will automatically call for emergency assistance in the event of a crash. The National Highway Traffic Safety Administration is a government-based group that sets safety standards, helps facilitate recalls, and puts vehicles through crash tests. They put each model through front, side, and rollover testing, and then give each car an overall score. In NHTSA testing, both vehicles came away with an overall five-star safety rating, which is the best they give out. 2014 Toyota Corolla – The 2014 Toyota Corolla earned top safety scores of “Good” in the IIHS’s moderate-overlap front, side, roof strength, and head restraint/seatbelt tests. On the other hand, the Corolla only scored “Marginal” in their small-overlap front crash test. This simulates a car colliding with another vehicle or pole at the front corner, which can be extremely destructive. 2014 Honda Civic – The 2014 Honda Civic scored “Good” in the same tests as the Corolla and earned a top score in the small-overlap crash test. The IIHS gave the Civic their best ranking of Top Safety Pick+, giving it the edge over the Corolla. With more standard and optional safety features and a higher IIHS rating, the safety of the 2014 Honda Civic beats out the safety of the 2014 Toyota Corolla. If you’d like to learn more about the Civic’s safety features and ratings, contact Middletown Honda or visit us for a test drive. We’re located at 520 Route 211 E. in Middletown, NY, only a few minutes away from Mechanicstown.